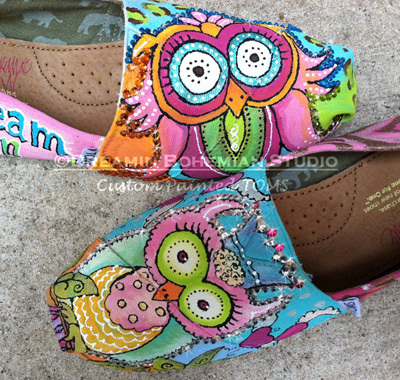 You purchase your TOMS and have them shipped to me, and I will paint them and ship them back to you.Or I can order the TOMS for you. 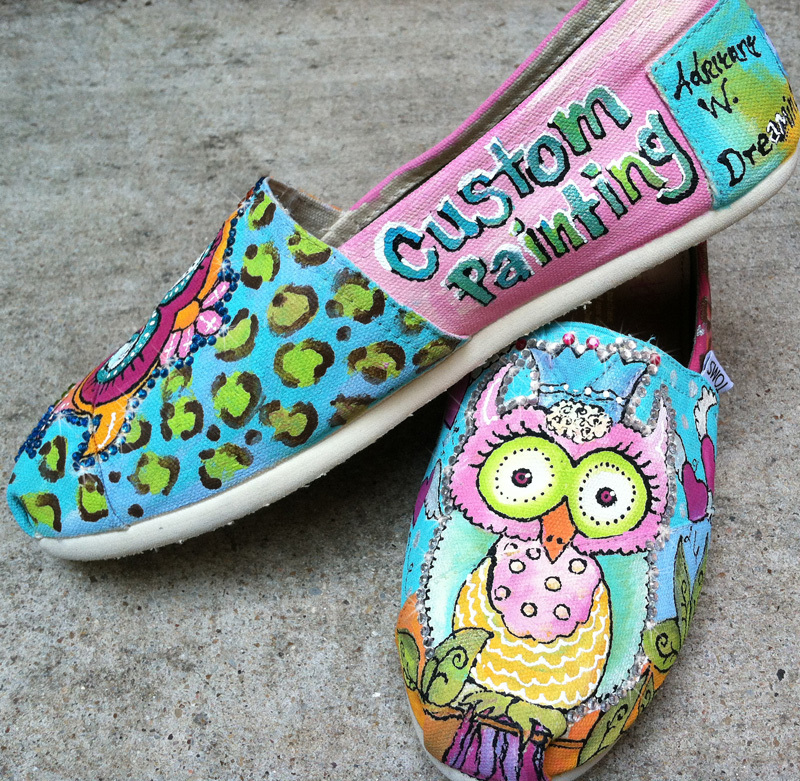 I had been holding out on painting my new canvas toms until I could think of the exact design I wanted on them. 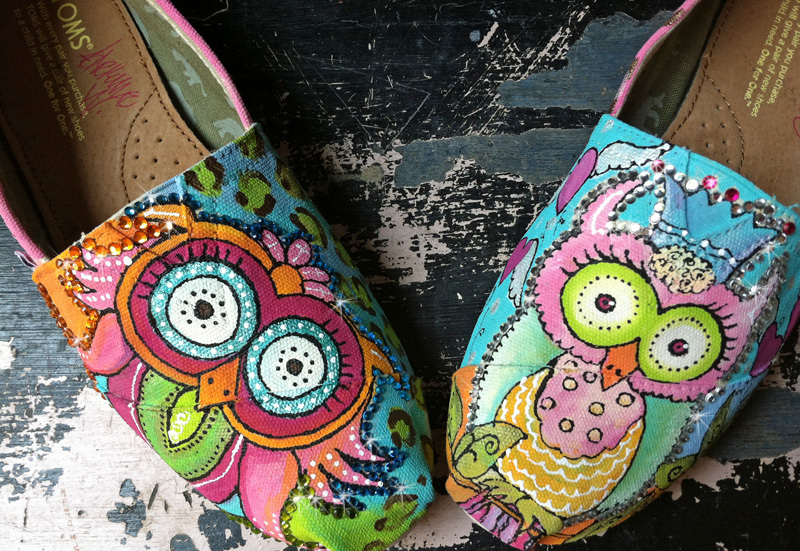 I have been painting a TON of owls lately, and they have been so fun to paint that I thought that is what I needed for my toms. Also, I will put whatever verbiage on them that you would like. HOURS go into this design and it is soooo worth the design fee. You are wearing a one of a kind work of art on your feet. 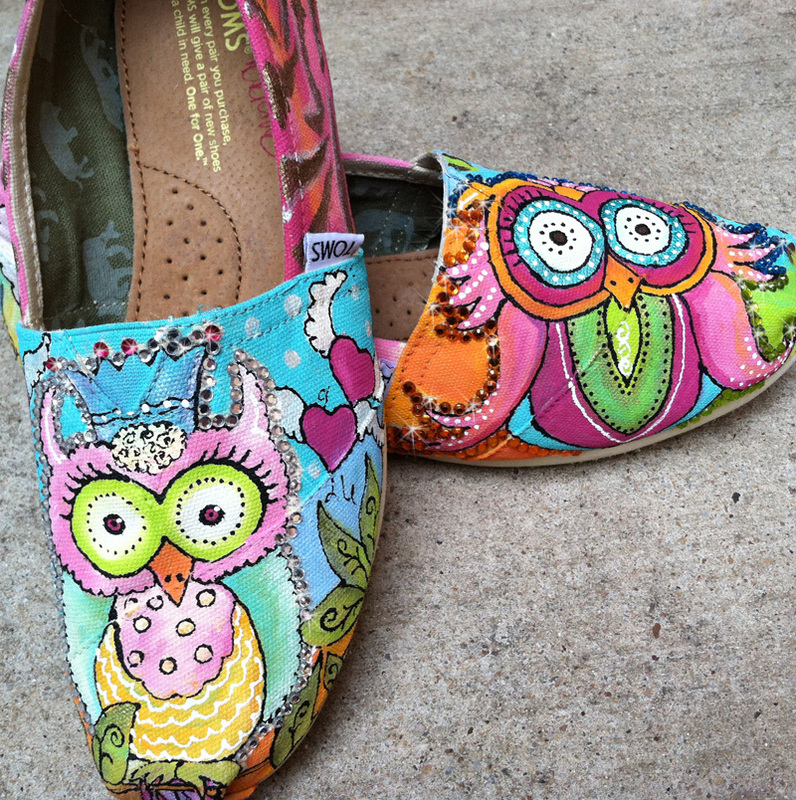 If you are interested in painted toms but would like something different for yourself, please email me and I will see what I can do! Love what you see and want to share my work with a friend who might be looking for something different? Email them right here!